The current spell of warm, settled weather is set to get even hotter this weekend, forecasters predict. More warm weather is on the way for the East Midlands - how hot will it get and how long will it last? Seventeen month old Ava Candlin from Mansfield, cools off with an ice cream in Mansfield Market . 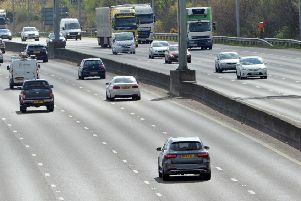 The recent May Bank Holiday Monday was the hottest on record in the East Midlands and next week’s Bank Holiday is set to be a record breaker too. After a cloudy start this morning sunny spells will develop this afternoon with temperatures reaching a pleasant 22C but with an increasing threat of a heavy shower in the south. Friday will see a bit of a blip with overcast conditions and some light rain, with temperatures struggling to get above 19C. The cooler conditions will be shortlived, however, with things settling down and heating up through the weekend. The spring Bank Holiday weekend is set to be scorcher. Saturday will be warm and sunny with highs of 21C with a chance of isolated thundery showers during the late afternoon. Sunday and Monday will be even warmer and humid with temperatures reaching the mid to high 20s. Late on Monday and into Tuesday there is a small risk of some isolated thundery showers. The hot weather is set to last until well into next week.